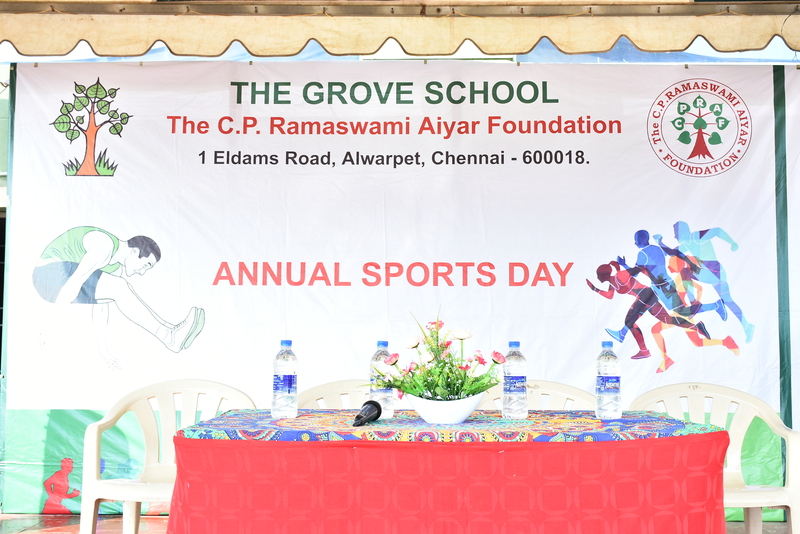 The eventful Annual Sports day of THE GROVE SCHOOL was conducted on 18.1.2019. 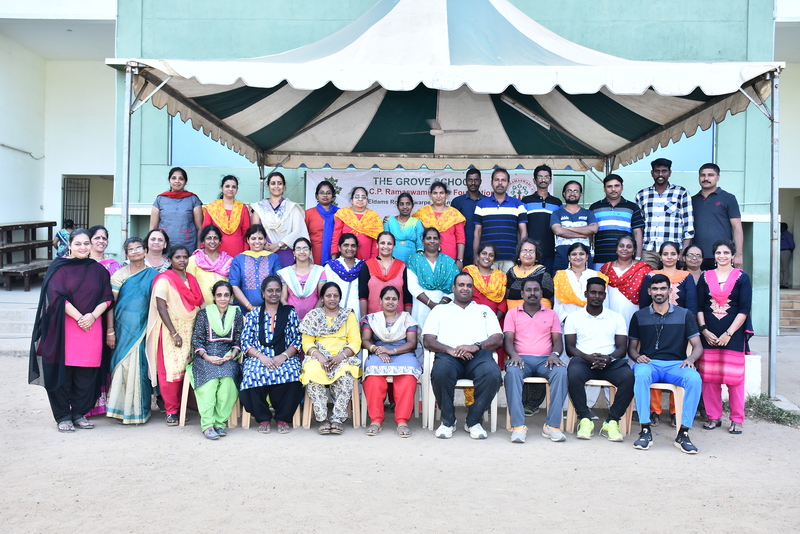 The chief guest Mr. Joseph James, Captain of Madras Boat Club was extended a FORMAL WELCOME WITH A GUARD OF HONOUR. 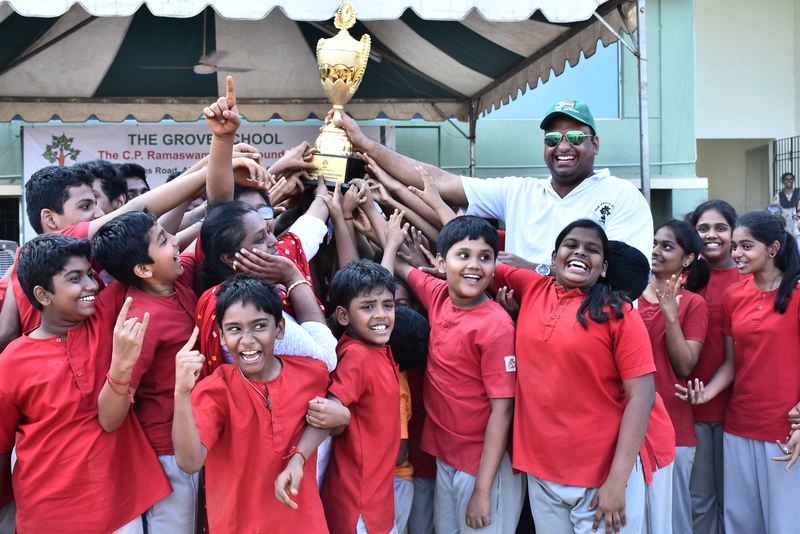 The Correspondent of Grove School MR.PRASHANTH KRISHNA addressed the gathering , introduced the chief guest and honoured him with a memento. 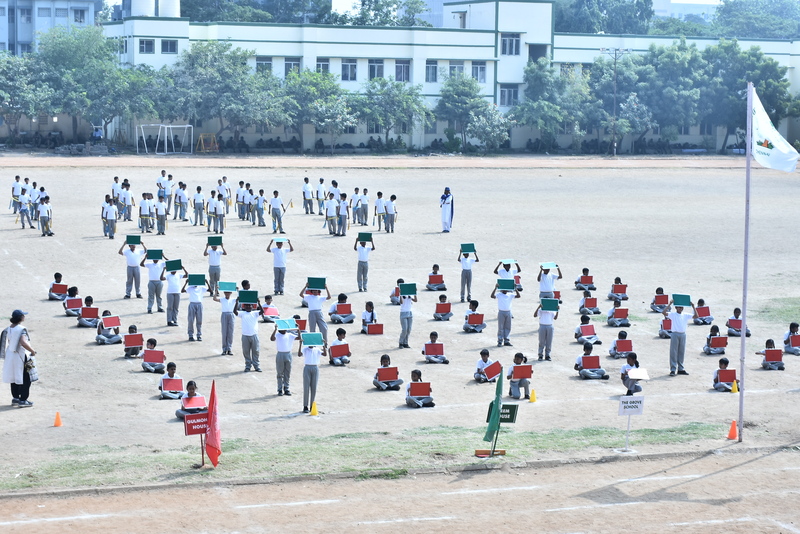 The chief guest hoisted the National flag and the correspondent hoisted the school flag. 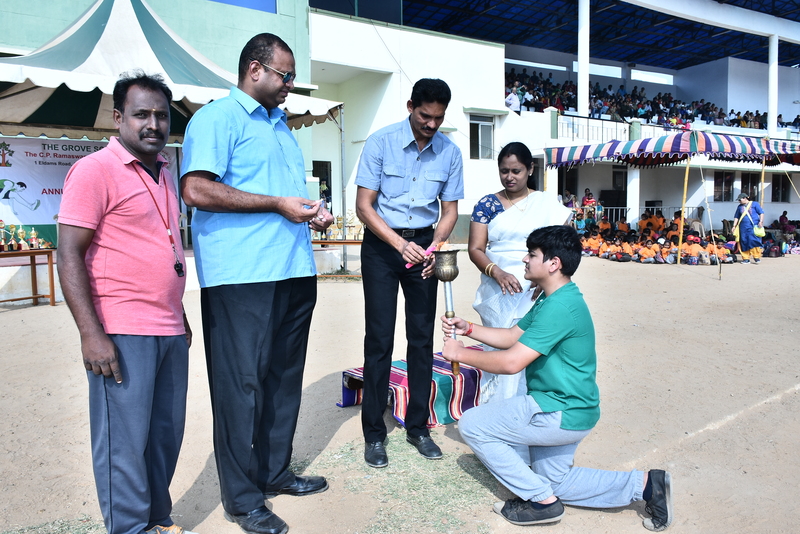 Mr. Joseph James addressed the gathering and was requested to witness the march past by our students and take the salute. 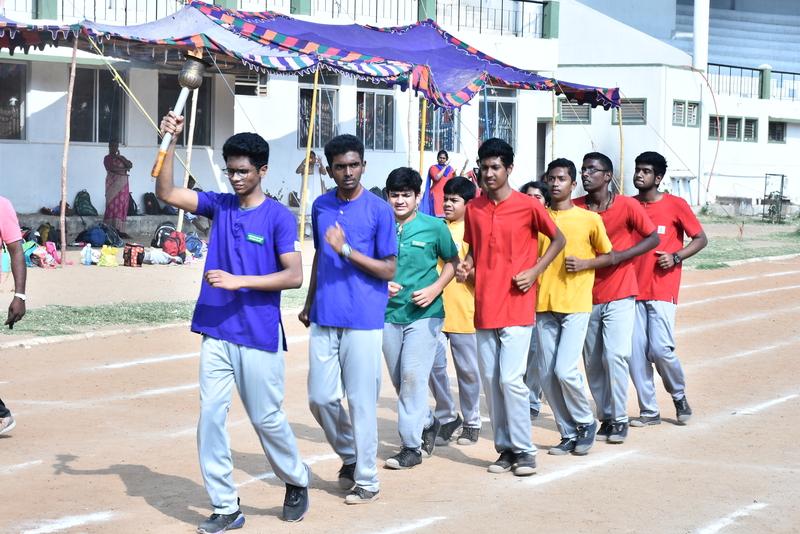 The MARCH PAST started off grandly with the procession of prefects and members of 4 houses with their placards and home flags.The march was lead by sports captain A. P . Kamesh of Class XII followed by head boy Sered David Jacob of Class XII ..
After this, the Olympic flame which was carried by a relay all the way to its final destination. 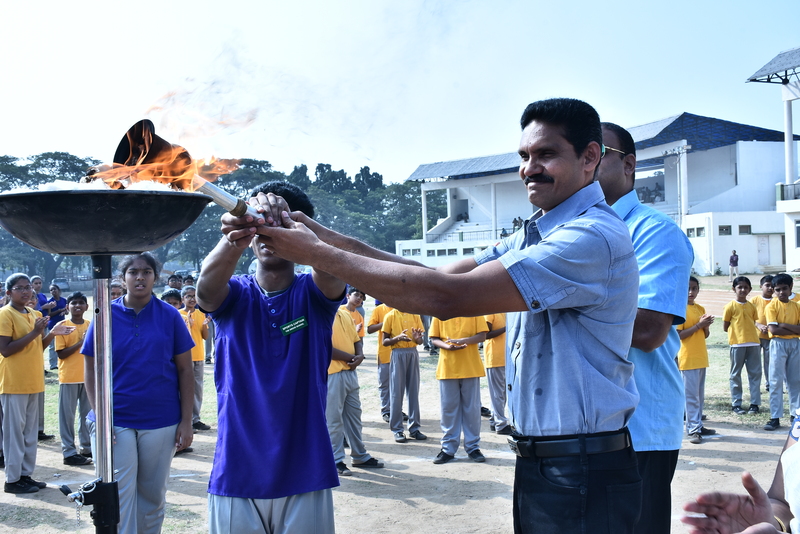 Once the torch was lighted and the oath was taken the Kindergarten fun events and athletic events were conducted. 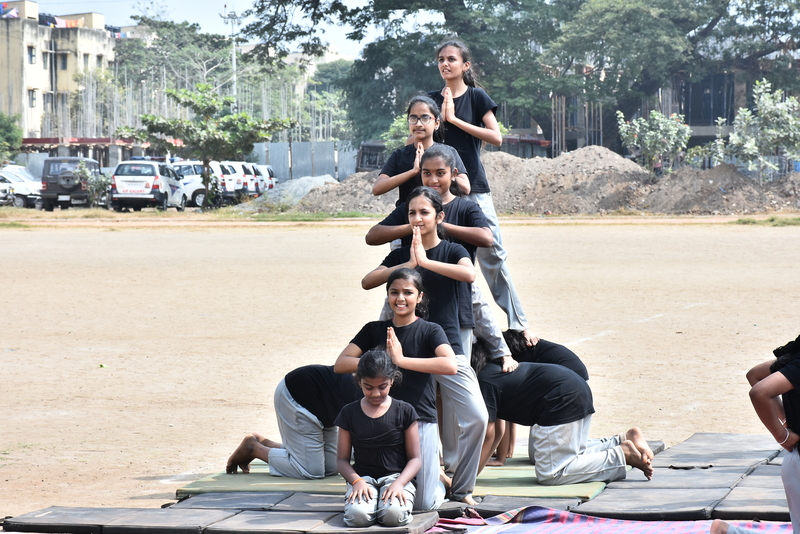 We also had display of students’ talents in POM POM drill performed by class I and II , and a refreshing Zumba dance by the girls of Standard VI to STD XI. 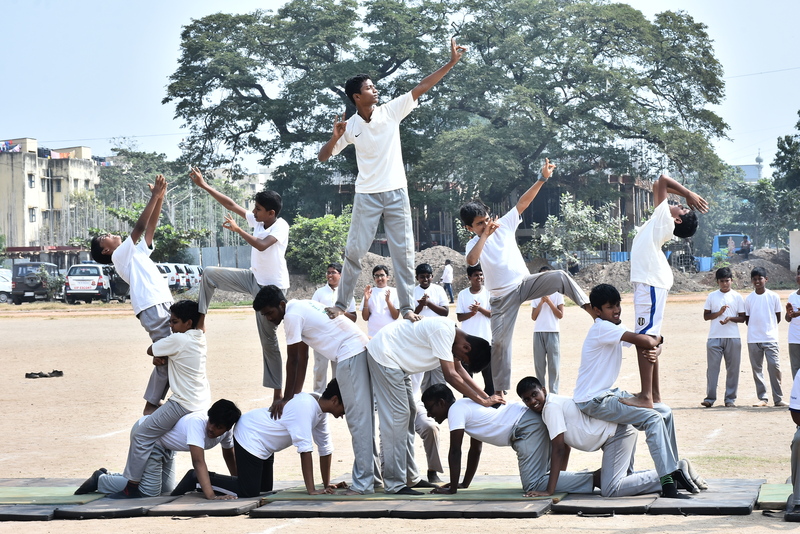 A human pyramid was formed by the boys and girls of Std VI to XII who exhibited their talent and skill. 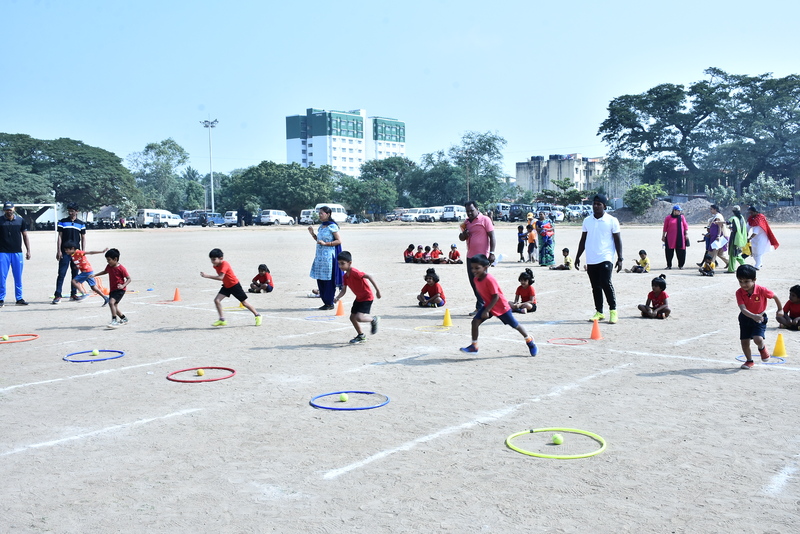 We had other innovative drills such as Colour pad drill by students from Class III to VI and Bamboo pole drills . 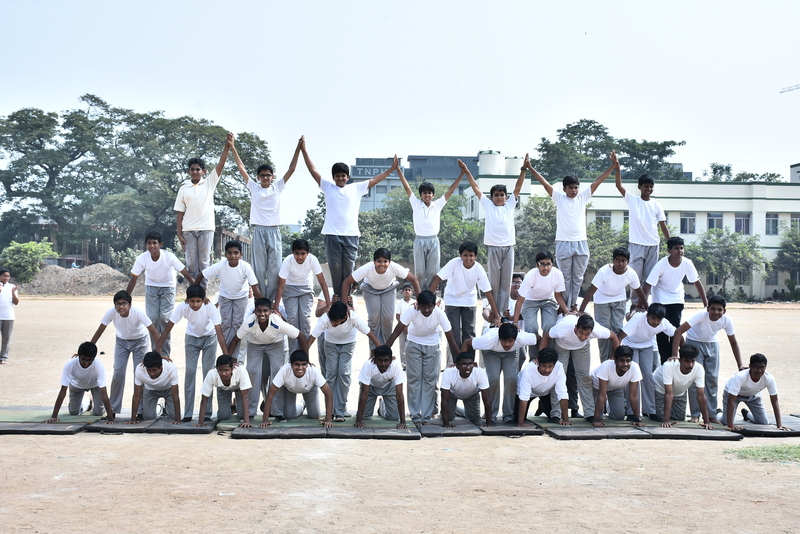 The students proved their mettle by their coordinated and focussed effort. 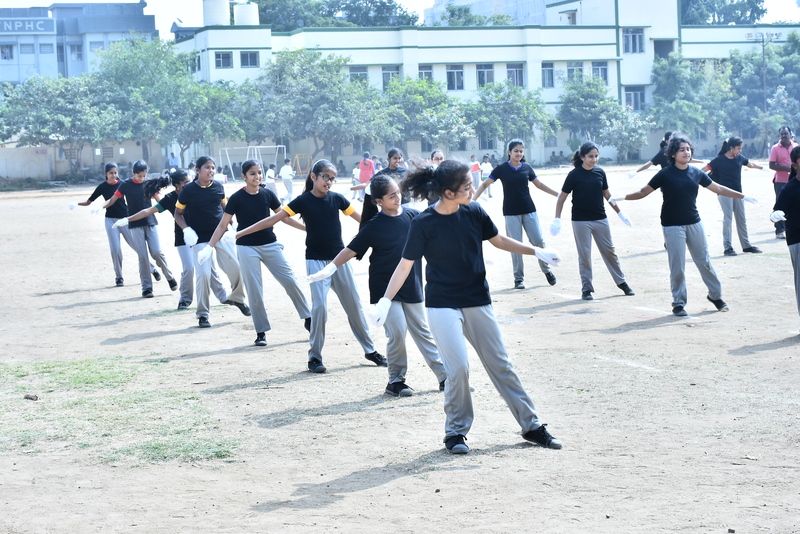 The winner of the march past was GULMOHAR house . 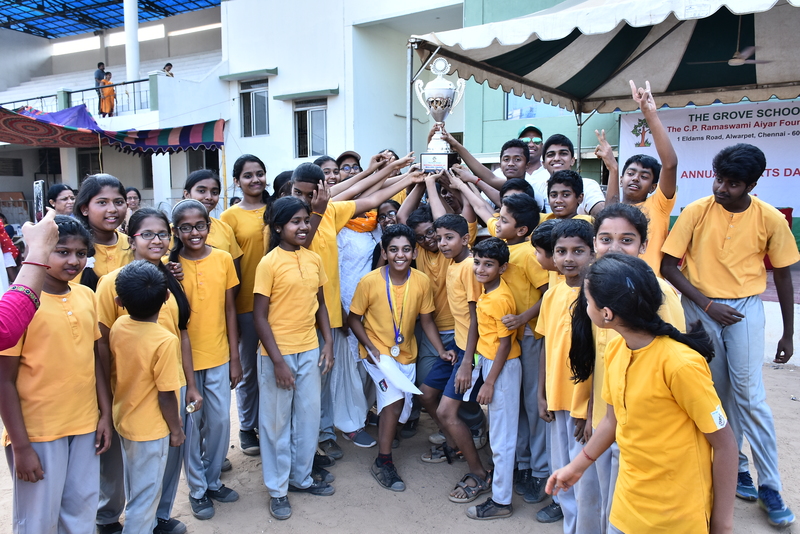 The overall trophy for Sports 2019 went to GULMOHAR and the runner up was PEEPAL. 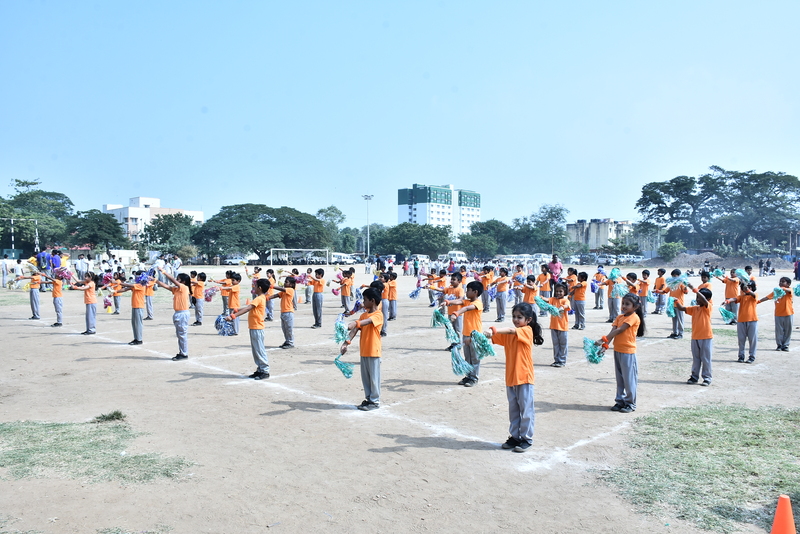 To conclude the sports meet the flags were lowered and the National anthem was sung. 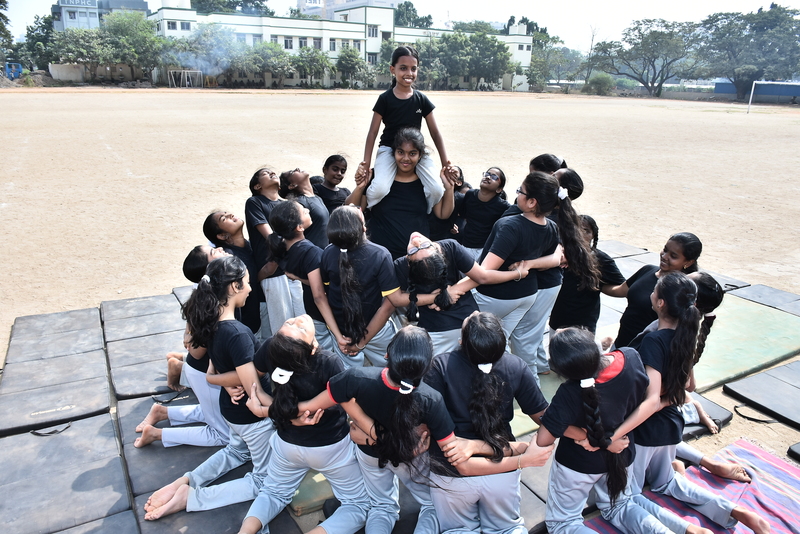 This entry was posted on January 28, 2019 by The Grove School E-Magazine.